Android is a powerful platform which provide apps in many different fields. We can do our many routine works in few touch with these apps. Android provide Banking apps for bank users. We can easily manage our bank related activities with Android banking apps. Android also provide apps for farmers. These agriculture apps keep the farmers upto date with modern techniques of farming. These apps provide special help to Indian farmers and fill the information gap between the rural people and Govt. These android apps for farmers & agriculture provide the latest market rates, demand forecasting, weather forecasting, Govt policies for farmers etc. Farmers can directly ask question from the Agriculture experts and also watch their videos related to new technology. List Of Best Android Apps For Farmers & Agriculture. 3. Iffco Kisan Agriculture App. 6. 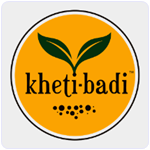 Khetibadi Organic Farming App. It is an amazing in list of Android apps for farmers which has a rating of 4.3 out of 5. It is a light weight Android app with easy to use interface. It is available in 10 different languages. It provide rich agriculture content and information at every stage of crop cycle. 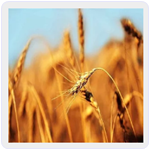 Farmer can choose from 450 crop varieties, 1300 markets, 3500 weather locations. It also provide weather forecast and mandi price according to user location. Approximately 0.5 million users downloaded this app. 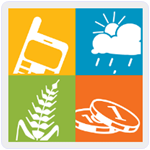 Agri App is one of the most popular in all Android apps for farmers. It has a rating of 4.3 out of 5. It is an online market place bringing farmers, agri input, retail and fulfillment service on a digital platform. It also provide chat service for farmers. 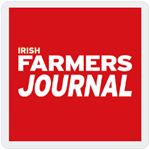 Farmers can directly chat with agriculture expert. 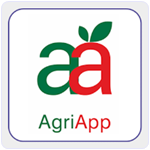 This app also provide various videos of agriculture Practice. Approximately 0.1 million users downloaded this app. 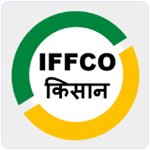 Iffco Kisan Agriculture is an recommended in all Android Apps for Indian farmers. It is a light weight Android app with easy to use interface. This app also provide information about latest mandi prices, latest agriculture advisory, best farming tips. It also provide weather forecast information to farmers. It also provide agriculture alerts to farmers in 10 Indian languages. The farmers can directly take advice from agriculture experts. Approximately 50 thousand users downloaded this app. 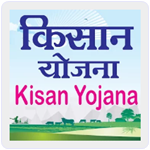 Kisan Yojana is another popular in lidt of Android agriculture apps free. It provide information about all Govt schemes to farmers. It reduce the information gap between the rural people and Govt. It also provide the schemes from the various respective state Govt. It also save the time and travel expense of farmers to reach the state Govt office is saved. Approximately 50 thousand users downloaded this app. Farm Manager is an Android app for farmers which helps farmers to manage their farm through their smart phones. It offer a mobile office which monitor and inform farmer for each stage of work. We can easily create new field and access already created field and store their related work. We can easily manage our staff and their working hours and tasks. We can create and restore backup for each crop year. Approximately 50 thousand users downloaded this all. It is an Android Agriculture app specially designed for Indian Farmers. Its main motive is to promote organic Farming. It provide information for Indian farmer related to many issues like Lack of direct market reach, lack of logistics support, Lack of demand forecast etc. This app help farmer to covert their chemical farming to organic farming with increased productivity and make informed decisions to improve their life style. Approximately 10 thousand users downloaded this app. It is an another in list of Android apps for farmers which is available for free on Google play store which provide farming news and magazines and other farming information. We can easily share these article with our friends on social media like Facebook, Twitter etc. We can also view farming related video from YouTube. We can also search specific article for a topic. Approximately 10 thousand people downloaded this app. It is amazing app for start up farmers which is also free to download from play store. It deals specially with vegetable farming. 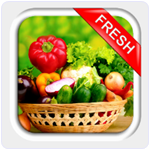 This app provide various ways of farming vegetables and also provide guidelines for surrounding of different vegetables. It also inform about the various diseases of vegetables and their treatments. It Is a light weight and mush have in all Android apps for farmers. Approximately 10 thousand users downloaded this app. 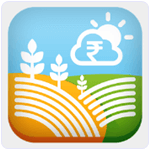 Kisan Market is An Android app for Indian farmer which provide information about markets of India. It provide a digital platform for Indian farmer where they can sell their products. It also provide weather forecast information for user current location. It give information about the Govt schemes and subsidies to farmers. It support three languages English, Hindi and Marathi. Approximately 10 million users downloaded this app. 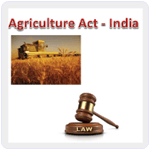 It is another popular Android app for Indian farmers which provide information about all the Indian act related to agriculture. All sections of each law are available in this app. It is best suited for farmers, layperson, law students, chartered accountants, agriculturist. It is simple to use and light weight Android app. It also provide search option to search a particular law. Approximately 10 thousand users downloaded this app. Hence, these are the best Android apps for farmers all around the world. We hope these are a help to all farmers in their work.